BP continues to catch the Oilholic’s eye via its ongoing strategic asset sale programme aimed at mitigating the financial fallout from the 2010 Gulf of Mexico spill. Not only that, a continual push to get rid of refining and marketing (R&M) assets should also be seen as positive for its share price. This afternoon, the oil giant inked a deal to sell five of its oil & gas fields in the Gulf of Mexico for US$5.6 billion to Plains Exploration and Production; an American independent firm. However, BP Group Chief Executive Bob Dudley reiterated that the oil giant remains committed to the region. "While these assets no longer fit our business strategy, the Gulf of Mexico remains a key part of BP's global exploration and production portfolio and we intend to continue investing at least US$4 billion there annually over the next decade," he said in statement following the announcement. Last month BP agreed to sell the Carson oil refinery in California to Tesoro for US$2.5 billion. As a footnote, the agreement holds the potential to make Tesoro the largest refiner on the West Coast and a substantial coastal R&M player alongside the oil majors. While regulatory scrutiny is expected, anecdotal evidence from California suggests the deal is likely to be approved. Back in June, BP announced its intention to sell its stake in TNK-BP, the company's lucrative but acrimony fraught Russian venture. One can draw a straight logic behind the asset sales which BP would not contest. A recent civil case filed by the US Department of Justice against BP does not mince its words accusing the oil giant of “gross negligence” over the Gulf of Mexico spill which followed an explosion that led to the death of 11 workers. 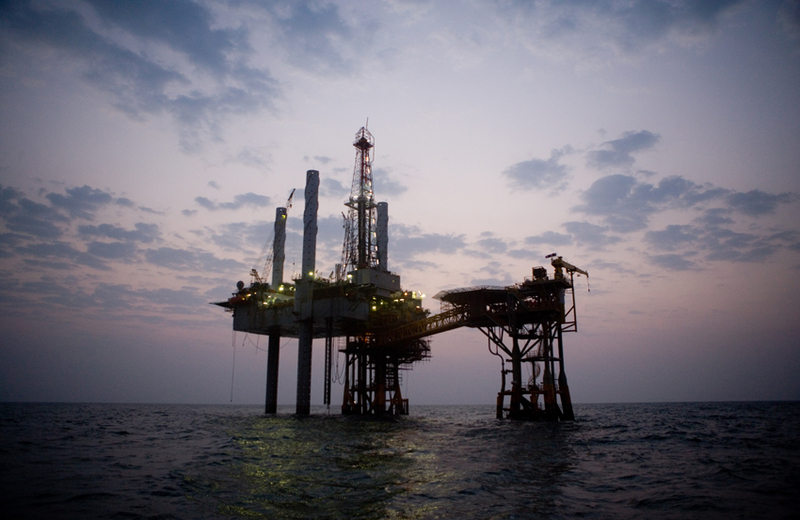 Around 4.9 million barrels of oil spewed into the Gulf according to some estimates. The charges, if upheld by the court, could see BP fined by as much as US$21 billion. The trial starts in January and BP, which denies the claim, says it would provide evidence contesting the charges. The company aims to raise US$38 billion via asset sales by Q4 2012. 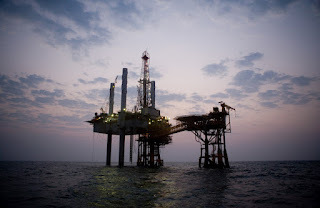 However, the Oilholic is not alone is his belief that the sale programme, while triggered by the spill of 2010, has a much wider objective of portfolio trimming and a pretext to get rid of burdensome R&M assets. Meanwhile in Russia, the Kremlin is rather miffed about the European Commission’s anti-trust probe into Gazprom. According to the country’s media, the Russian government said the probe “was being driven by political factors.” Separately, Gazprom confirmed it would no longer be developing the Shtokman Arctic gas field citing escalating costs. Since, US was the target export market for the gas extracted, Gazprom has probably concluded that shale exploration stateside has all but ended hopes making the project profitable. Sticking with Shale, reports over the weekend suggest that South Africa has ended its moratorium on shale gas extraction. A series of public consultations and environmental studies which could last for up to two years are presently underway. It follows a similar decision in the UK back in April. Sticking with the UK, the country’s Office for National Statistics (ONS) says output of domestic mining & quarrying industries fell 2.4% in July 2012 on an annualised basis; the 22nd consecutive monthly fall. More worryingly, the biggest contributor to the decrease came from oil & gas extraction which fell 4.3% in year over year terms. The UK Chancellor of the Exchequer George Osborne has reacted to declining output. After addressing taxation of new UKCS prospection earlier this year, Osborne switched tack to brownfield sites right after the ONS released the latest production data last week. Announcing new measures, the UK Treasury said an allowance for "brownfield" exploration will now shield portions of income from the supplementary charge on their profits. It added that the allowance would give companies the incentive to "get the most out of" older fields. Speaking on BBC News 24, Osborne added that the long-term tax revenues generated by the change would significantly outweigh the initial cost of the allowance. According to the small print, income of up to £250 million in qualifying brownfield projects, or £500 million for projects paying Petroleum Revenue Tax (PRT), would be protected from a 32% supplementary charge rate applied by the UK Treasury to such sites. Roman Webber, tax partner at Deloitte, believes the allowance should stimulate investment in older fields in the North Sea where it was previously deemed uneconomical. Such investment is vital in preserving and extending the life of existing North Sea infrastructure, holding off decommissioning and maximising the recovery of the UK’s oil & gas resources. “Enabling legislation for the introduction of this allowance was already included in the UK Finance Act 2012, announced earlier this year. The allowance will work by reducing the profits subject to the 32% Supplementary Charge. The level of the allowances available will depend on the expected project costs and incremental reserves, but will be worth up to a maximum of £160 million net for projects subject to PRT and £80 million for those that are not subject to the tax,” Webber notes. Finally on the crude pricing front, Brent's doing US$114-plus when last checked. It has largely been a slow start to oil futures trading week either side of the pond as traders reflect on what came out of Europe last week and is likely to come out of the US this week. Jack Pollard of Sucden Financial adds that Chinese data for August showed a deteriorating fundamental backdrop for crude with net imports at 18.2 million metric tonnes; a 13% fall on an annualised basis. Broadly speaking, the Oilholic sees a consensus in the City that Brent’s trading range of US$90 to US$115 per barrel will continue well into 2013. However for the remaining futures contracts of the year, a range of US$100 to US$106 is more realistic as macroeconomics and geopolitical risks seesaw around with a relatively stronger US dollar providing the backdrop. It is prudent to point out that going short on the current contract is based Iran not flaring up. It hasn't so far, but is factored in to the current contract's price. That’s all for the moment folks! Keep reading, keep it ‘crude’!